Our mission is to create, innovate, and explore our own new, original, theatrical work; to excite audiences around the world with our touring productions; to expand and nurture our international network of artists; to develop a dynamic repertory of work that we love to perform. Now What Theatre is the brainchild of Lisa VillaMil and Tierney Nolen, two actors who managed to wrangle a few of their grad-school compatriots into their company. 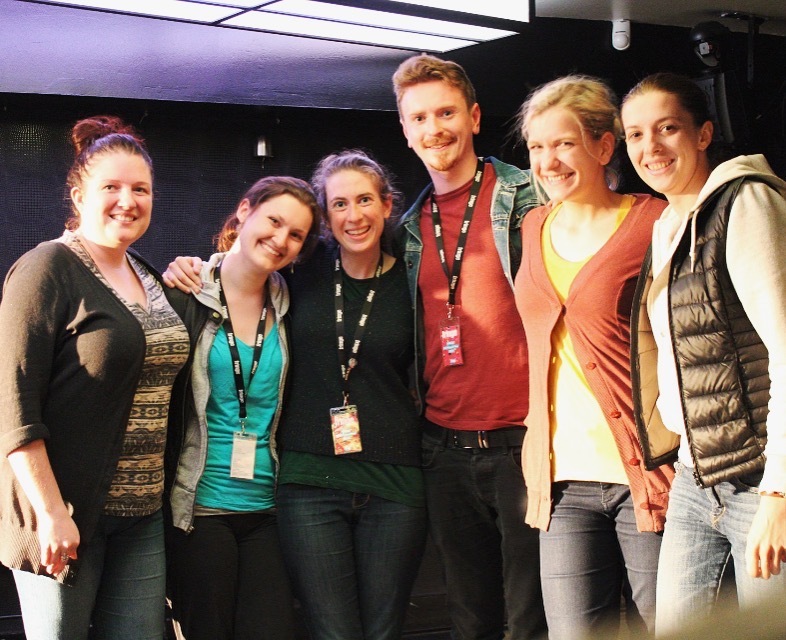 Formed in the summer of 2016, Now What Theatre came together when a handful of students in the Royal Conservatoire of Scotland’s “Masters in Classical and Contemporary Text (Acting)” program decided to take an original play to the Edinburgh Fringe Festival. They had no further plans to promote the company, until a few of them got cheeky, and decided they did like working together very much, and a Transatlantic company couldn’t be too hard to pull off, could it? One stress-fueled autumn later, after countless meetings, administrative tasks, applications and cups of tea, the group had organized a tour of their premiered EdFringe show in North America. They had assembled their group of “Core Artists.” They had talked over a smattering of new script and performance ideas. And they were ready to dive into this international, theatrical adventure. And Now What? Only time will tell. Comprised of nine Core Artists and various Associate Artists, NWT operates as an international, theatrical democracy. Seasons are created by the Core Artists, who are the primary source in the production of new scripts, devised shows and other performances for the company. The Core Artist’s create work that is fresh and dynamic, inspired by everything and anything in the artistic, social, political or commonplace world around them. They are constantly on the edge of what excites them, ready to explore whatever it is – be it a political opinion, an abstract concept, particular human interactions, or that thought-provoking question “what if” – or be it a type of performance, like clowning, guerilla theatre, or puppetry. The possibilities are as limitless as the inspirations. Primarily operating under a touring model, NWT takes its shows to both sides of the Atlantic, covering the UK, Ireland, Canada and the USA. Founders, Lisa & Tierney enjoy ice creams at the Ed Fringe, 2016.